Five thousand years ago, he tried to rule the civilized world. Now, he’s the only one who can save it. Once upon a time, Menkhef stood up to a powerful pharaoh, and lost. That’s a poor track record for someone acting as the lynchpin in an imminent supernatural war. Humanity is caught between an absent angel and a vengeful demon. 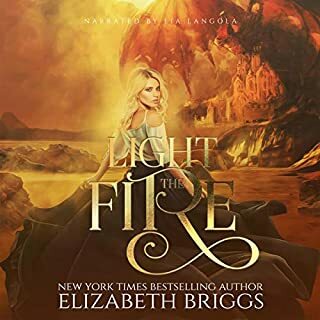 The Council of Thirteen still lacks its final two members, and Menkhef - better known to his friends as Snag - is the only vampire whose mate has not returned. Holed up in an underground tomb complex beneath the oldest pyramid in Egypt, he and his comrades must watch as Bael’s forces gather in preparation for the final battle. Menkhef only has two secrets left. One will overturn the lives of an unsuspecting American couple. The other will change the entire landscape of the clash for humanity’s future. In the war between love and hate - death is not the end. 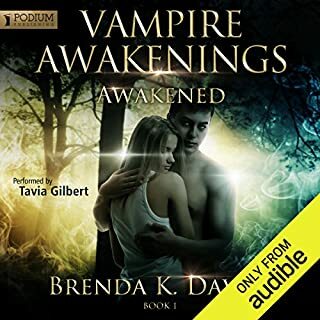 In another lifetime, six vampires lost their mates - and their mortality - to an unimaginable evil power. Now, if they can’t reunite with the reincarnated souls of their lost loves soon, it may just mean the end of the world. 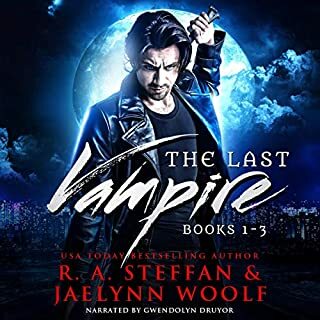 From USA Today best-selling author R. A. Steffan and fresh new voice Jaelynn Woolf comes a steamy paranormal romance series perfect for adult fans of vampire fiction. 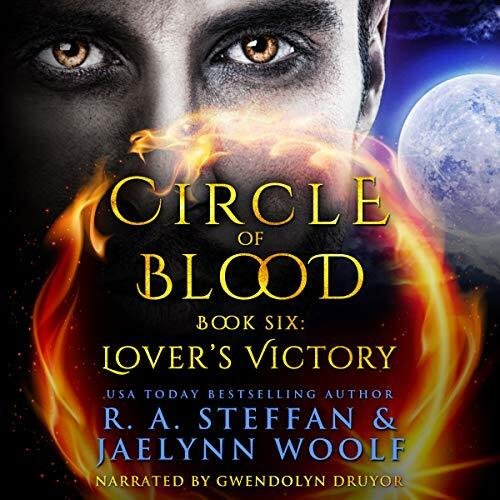 Download Circle of Blood Book Six: Lovers' Victory today, and discover the heart-stopping conclusion to a journey that explores the power of love in a world gone mad with hate. This entire series is so worth the time. 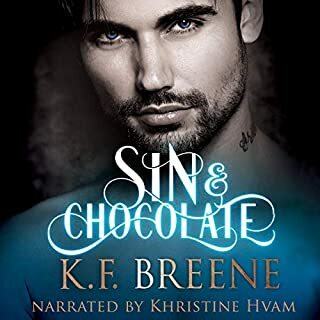 But book 6 we are left with Snag needing to find his soulmate. He is an ancient Egyptian royal and his story is so intriguing. I will not spoil the ending but it is hot! 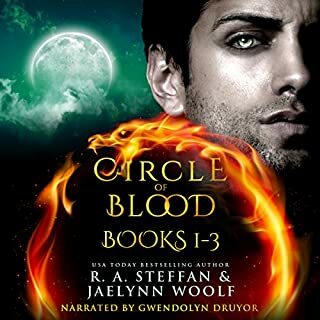 Gwendolyn Druyor has done an excellent job throughout the entire series. Worth the credits? Hell, Yes!